This holiday season, phone-wielding shoppers should be seen as a challenging opportunity for smarter retail marketing, not a reason for the holiday blues. Mobile commerce is on the rise. But the sound of tapping and texting this holiday season shouldn’t be heard as a death knell to brick-and-mortar retail. The fact is mobile devices aren’t going away – but neither is in-store shopping. 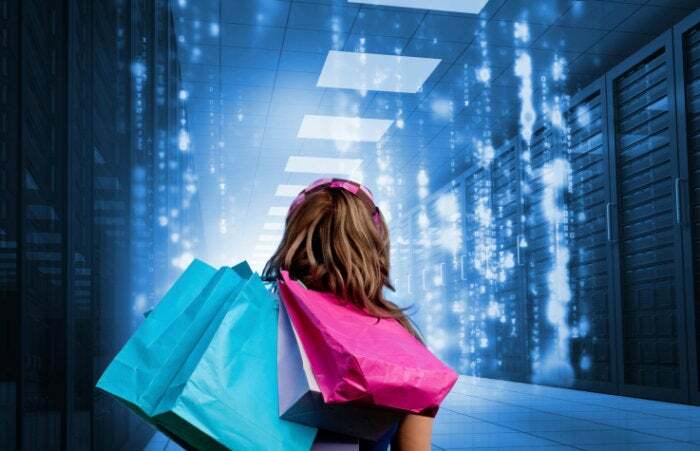 As consumer shopping habits evolve to incorporate mobile devices and digital commerce, these mobile interactions are creating new data flows representing never-before-seen insights that retailers can use to their advantage. Retailers have opportunities this holiday season to remind shoppers of the value of evaluating products and buying in-store. First, a few stats to get a lay of the land: Mobile commerce will grow from around 35% of total e-commerce sales this year to more than half by 2021, according to eMarketer. Yet brick and mortar shopping still leads by a mile. The U.S. Department of Commerce reported that e-commerce represented just 9% of total U.S. retail sales in Q2 of this year. Mobile location data showing where consumers in a particular area shop or dine can be paired with information showing local product-level buying habits. Layered with mobile app data indicating interests and demographic information reflecting household income or whether consumers have children, mobile data paints a rich portrait for retailers looking for ways to appeal to local consumers. This helps retailers ensure they have the right goods in stock. Presenting select gift items inspired by local-level data showing women in the area buy more kitchen gadgets or scented candles than the national average might inspire a Gifts-for-Mom store display with complementary gift wrapping. Promoting Great Gifts for Mom Under $30 via targeted mobile ads aimed at Millennial consumers can woo them into the store for a value-conscious deal they know will make Mom happy when she unwraps her gift this year. We know consumers are checking their phones in the store, and younger shoppers are most likely to do it. According to the 2017 Holiday Physical and Digital Retail Trends report from Euclid Analytics, 50% of consumers aged 18-34 said they would compare discounts and products with their smartphones while shopping in-store on Thanksgiving or Black Friday, compared to just a quarter of consumers aged 55 and up. So why do retailers make the mistake of thinking of mobile in a mobile-only vacuum? One of the world’s most innovative retailers, Target said in 2015 that 98 percent of its customers were shopping digitally, and three-quarters of those customers started on mobile. Around that time, the company decided to make mobile the “front door” to its shopping experience, according to Casey Carl, chief strategy and innovation officer for Target. That meant ensuring that consumers would have a seamless mobile-to-real-world experience when conducting shopping research, building shopping lists or when in the store. Black Friday deals and email offers can be better connected to the mobile and in-store experience by displaying related items and product information prominently on mobile sites, in apps and in-store, for instance. Convenience still matters to a lot of consumers. In fact, Euclid Analytics reported that 86% of consumers said they choose to visit a specific retailer because of its convenient location. If local shoppers are already inclined to pop-in, geographically-targeted advertising based on mobile location data is a great way to draw them there. The research firm also found that 61% of men surveyed said an online ad brought them into a store, compared to 54% of women who said so. With more than half of shoppers acknowledging the power of digital ads, it makes sense for retailers to aim holiday offers via digital and mobile ads, or through ads in mobile mapping apps to local consumers based on data showing they are or have been in the area. Cutting edge retailers like Target have already shifted their thinking to a mobile-first strategy, recognizing the benefits of complementing the in-store experience with mobile ones. This holiday season, phone-wielding shoppers should be seen as a challenging opportunity for smarter retail marketing, not a reason for the holiday blues. Gladys Kong, CEO of UberMedia, is an expert in mobile technology and data solutions. She has been recognized for her work in digital mobile innovation by Business Insider and Mobile Marketer.